Here is the newest By Grace Cakes bakery custom birthday cake. Order your custom cake today!!! A By Grace Cakes birthday cake original. Gluten-free chocolate cake with vanilla buttercream. 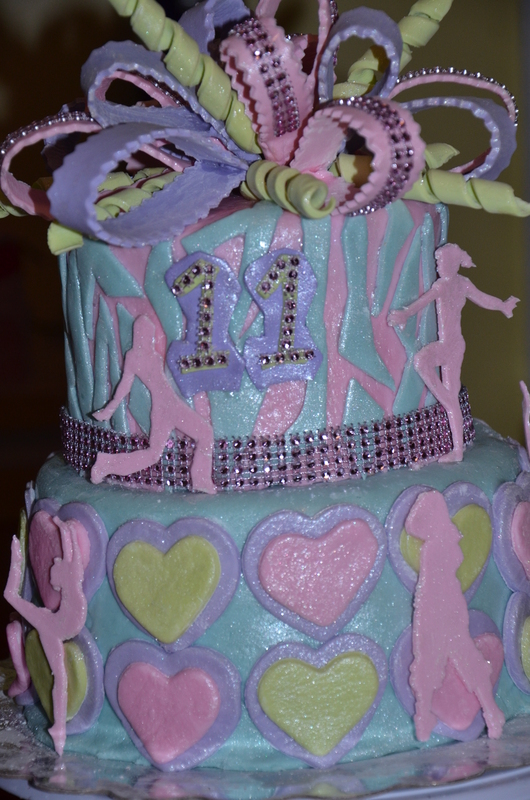 Covered with extra sparkles this cake displays hip hop and gymnastics silhouettes and a multiloop, multi-color bow. 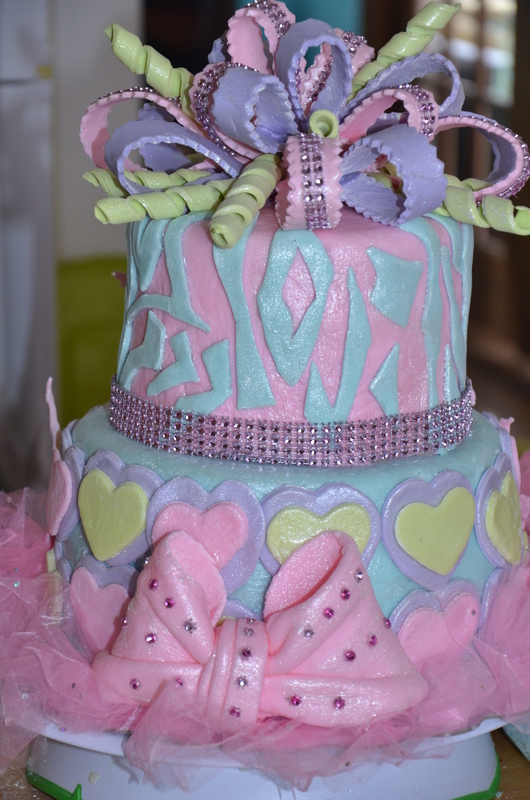 The back of this birthday cake has a oversized fondant bow with sparkles. Special order your birthday cake at By Grace Cakes bakery, Bay City, MI.